Enjoy a 3D virtual tour through our office. "Oh my goodness! What an AWESOME experience!! As soon as I walked in I was warmly greeted by Julie. After admiring the GORGEOUS interior I was led to the treatment room by Amber. I also got to meet Desmond, the owner. How great to be greeted by the owner! Not a common thing. Amber is such a kind hearted and knowledgeable woman! I had the dermalinfusion and my skin is STUNNING! Such a huge improvement in my melasma. I also had Aleena for my Xeomin injections. She is SO great and has a great touch!! Not painful at all!! I LOVE it here!!" Aleena Gurskiy, APRN, was born in Ukraine and grew up in Pennsylvania. She has always admired the world of aesthetics since she was young. Aleena has an eye for all things beauty. Originally starting her beauty career as a makeup artist for special events and eventually graduating to become an aesthetic APRN injector. She received her Family Nurse Practitioner master of science in nursing from Thomas Jefferson University. Precision and symmetry is of uttermost importance to her. Aleena strives to achieve perfection in her work. Her golden rule is to perform the treatments as if it were to be done to herself. Aleena has completed advanced training in neurotoxin injections including Botox, Dysport and Xeomin. She has also received advanced training for Radiesse, Juvederm and Restylane Fillers . Aleena has completed all the advanced training requirements. She was trained by Kathleen Feeney, our 16 year seasoned practitioner and highly accomplished injector. Aleena has completed advanced training by Merz and Galderma. 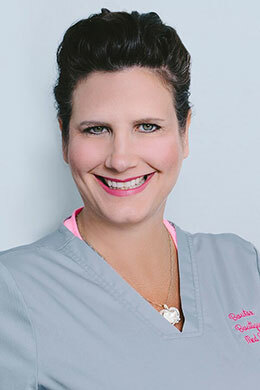 She completed Empire training in Miami, the most prestigious and nationally recognized training school in injectables. Julie Bailey has been a cosmetologist for nearly 20 years. She has an extensive background in the beauty industry. She loves to make people feel and look their best. She is a lifelong Floridian but recently relocated to the Bradenton area. When looking at relocating she did her research and found the wonderful reviews of Bowtox Boutique. She is a true believer in how the Dermal Infusion can help change the skin and is excited to meet everyone at the Lakewood Ranch location. When she is not at work she loves to spend time with her family. 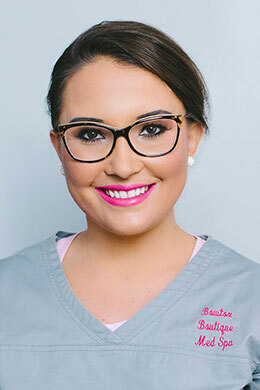 Amber Malave has been in the Plastic Surgery and Medical Spa Industry for the past 7 years. She is originally from Utah where she fell in love with aesthetics. She has an extensive background and training in many medical grade skin care product lines and treatments. Now as a Florida resident for the past year-and-a-half she is looking forward to sharing her passion with you at Bowtox Boutique Med Spa in Lakewood Ranch. She's been thoroughly impressed with their advanced and highly skilled Injectors and Skin Care Specialists offering Dermal Infusion treatment. Yvonne Lefebre, originally from Westchester, NY, earned her degree in business from Berkeley Business School in NY, NY. Shortly after graduation, she began her career as Practice Care Coordinator for Profiles and Contours Plastic Surgery Center in NY, NY. 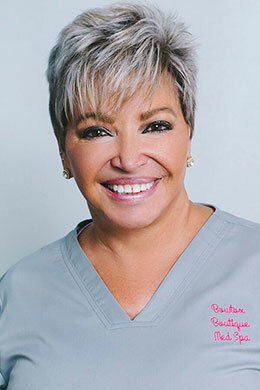 She then went on to manage and build several Plastic Surgery practices in the New York and Connecticut area. As a member of ACMA, she was invited to lecture at several conferences on topics referring to how to improve the patient overall experiences. She was also invited to be a guest lecturer at a Shell Oil Company conference, where she spoke of how to improve the customer satisfaction level and build a solid clientele of happy customers. She has appeared on 20/20, Spanish TV and radio, and was featured in an article in Alllure magazine as a prominent Patient Care Coordinator in New York City. She is devoted to leading women and men to ways they can maintain a natural, youthful appearance will enhances their self esteem and confidence. She has now joined the talented team of Bowtox Boutique in Sarasota, Florida, where she enjoys building new relationships between Bowtox Boutique and the community. 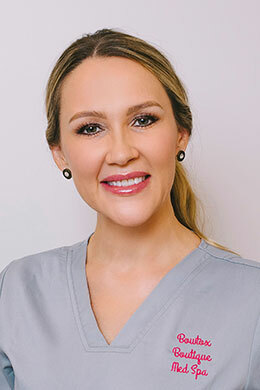 She is extremely proud to represent a team of talented providers who understand the aging process and combine the arts and sciences of beauty to renew, rejuvenate and restore appearances with the most natural possible results.